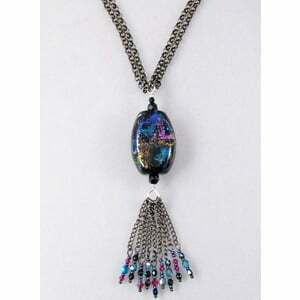 Description: The glass focal bead was made in the flame of a torch with glittering dichroic glass. It is wired on sterling silver with Swarovski crystals and hangs on gunmetal chain. Sparkling fringe completes this lariat length necklace.